I find it interesting, the Progressives are screaming now on every news site they can get to listen to them that Kavanaugh is not nonpartisan enough, he has no right filling a bench on the Supreme Court, but they had no problem with Justice Stevens when he said the Constitution was a terrible document or Ginsburg who has been as partisan as any justice in the history of the nation, where is the outrage with these two? Wait, they are liberals, so they don’t mind. We also have an issue with ex-justices. You have Stevens, who like Ginsburg has never shown any nonpartisanship whatsoever, he is now saying the Kavanaugh is far too partisan, kind of like the pot calling the kettle black, somewhat ironic coming from the second most partisan judge behind Ginsburg trying to judge another for daring to stand up for his reputation and family honor. 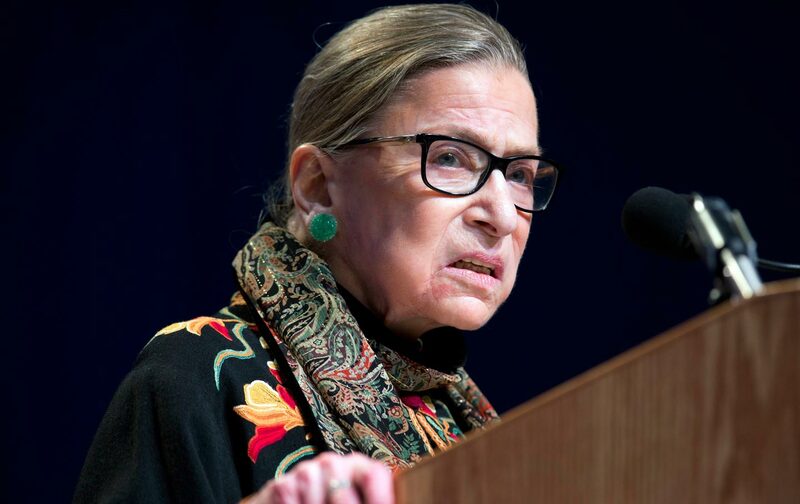 But there is more, we have seen Ginsburg say that she will not resign so long as a Republican is in power, that is fine with the left, but if any justice had announced as much with liberals in control, they would have howled in outrage to the high heavens. I can’t imagine what this place would be – I can’t imagine what the country would be – with Donald Trump as our president. For the country, it could be four years. For the court, it could be – I don’t even want to contemplate that. This is the same Ginsburg that said this about our constitution: Just last week, for example, Supreme Court Justice Ruth Bader Ginsburg told an Egyptian TV station that she would not recommend the U.S. Constitution as a model for Egypt’s new government. One can give credit where credit is due, Ginsburg, the ex-litigator and board member for the ACLU even says the partisanship of the Kavanaugh hearing is too much, we can say if this turned her off, how do you think the rest of the nation is reacting to this? 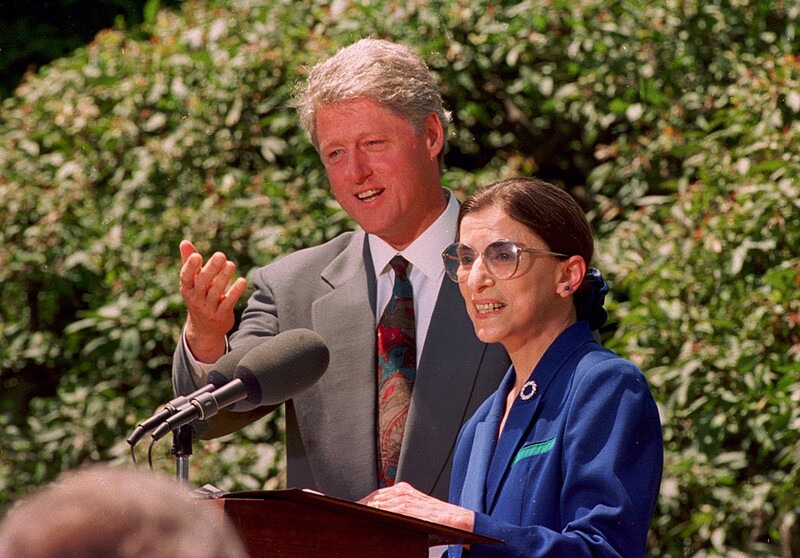 We have seen the court become highly partisan, the left is okay with this so long as it goes in their favor, but once it is not justices like Ginsburg seems to have a problem with it, but then that seems to the way of Progressives, push to take power, act like they are victims when they are thwarted. We know now Trump has 1 year left, all of next year to put a justice on the highest court, unless we get out and vote, anything else will be hijacked by the left, the very ones who screamed about Obama not getting a justice in during his last year, then ignored the Biden rule where they stopped President Bush from nominating his Justice during his last year. Once more playing victims for a precedent, they started themselves. What will be more interesting is if we see any Trump legislation come to the high court, why hasn’t Ginsburg with her obvious bias towards Trump not recused herself from the cases, or does she think this only applies to others, never to herself? It is time for this woman to step down, but I fear what the circus over that seat will look like, I have a feeling what we have seen with Kavanaugh is just a small taste of the steps the left will go to try to stop the seat from being filled by a more constitutionally minded judicial candidate, this would further throw a wrench in their plans for this nation, what worries me is the willingness of them to go to any length to stop this. But even with this being stated, this should not stop the Senate and Trump from doing what they were put in office to do, to fill the seats with justices the voters wish, we need to prevent the hijacking of this process by a very extreme few, people whom for the most part could care less about the constitution or the rule of law, this is about power, nothing more. So, Justice Ginsburg, you have served as you were put in office to do, your time is done, you have shown with your disdain for the constitution, the hyper-partisanship that you so openly display, your usefulness to the court is done, it is time for you to move on and enjoy the sunset.